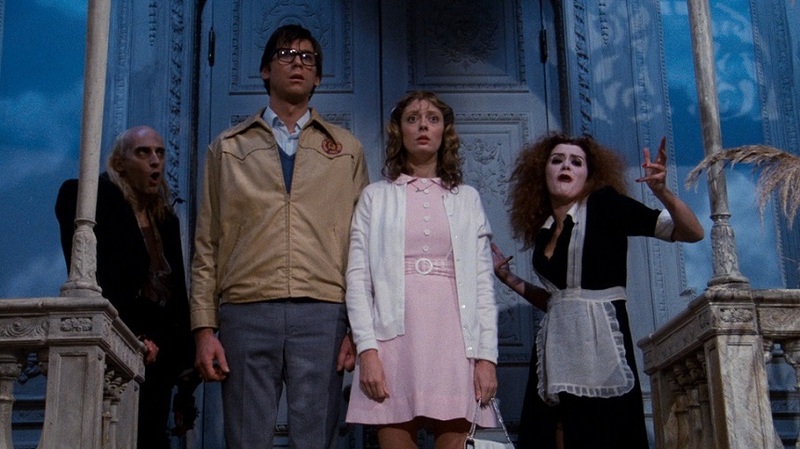 We would like, if we may, to take you on a strange journey this Halloween in Liverpool with a stay in our Rocky Horror themed hotel room after a viewing of the hit cult movie at FACT cinema just across the road. Rocky Horror has a following of fans who love nothing more than to dress up in full costume when attending special screenings of the movie. Since 1975, scores of people have donned fishnets, sequin top hats, maids’ outfits and butler suits to portray the colourful cast of Rocky Horror. This Halloween in Liverpool why not book a night at Arthouse Hotel and stay in the Rocky Horror Suite after watching the Rocky Horror Movie being screened at FACT film cinema. Here are some Rocky Horror themed Halloween fancy dress ideas to get you and your party looking the part. A mad scientist transvestite from Transsexual Transylvania, Frank-N-Furter has been trying to create the perfect man for his own enjoyment. He’s come to earth to find playthings for his amusement and brought two “loyal” servants along for the ride. Frank-N-Furter’s outfit consists of suspenders, a corset, fishnets and occasionally a Dr’s gown and gloves. His makeup is heavy, and he has an old-school Boss tattoo on his right bicep. Newly married straight-laced Brad Majors is driving through the woods after attending a wedding of friends with his fiancé, Janet. The car gets a flat and this leads the couple to ask for help at “The Old Frankenstein Place”. When they arrive, they seem to disturb a huge party and instantly want to find a phone to call for help then leave. Brad’s costume is simply a beige windbreaker, slacks, white shirt and thick-rimmed glasses. Brad’s fiancé, Janet Wiess is a timid and frightened girly girl who depends entirely on Brad to protect her. When arriving soaking wet at the mansion, Janet insists on leaving as she can tell something is not quite right. Janet’s outfit is again a simple pink dress, blue cardigan and curled blond hair and plain/no make-up. The Butler of the mansion and fellow Transylvanian, Riff Raff is an alien life form who came with Frank-N-Furter to aid him in his human experiments. Riff Raff has other plans and seems to hate being on earth, wishing to return home he eventually stages a mutiny against Frank-N-Furter. To dress as Riff Raff for Halloween in Liverpool you would need a hunchback, frayed suit with tail coat and bald cap wig. Sister of Riff Raff and alien from Transsexual Transylvania, Magenta plays the maid of the household but again is really serving as Frank-N-Furter’s aid. She assists in the lab giving life to Frank-N-Furter’s “perfect man creation” but eventually tires of life on earth wanting to go home Magenta helps Riff Raff with a mutiny against Frank. Her costume is a maid’s outfit, wild hair and dark red lipstick. One of the more colourful characters in Rocky Horror, Columbia is a human who was recruited by Frank-N-Furter as first a lover and then an assistant when she was replaced by Eddie, a pizza delivery boy. Eddie and Columbia eventually fell in love which angered Frank-N-Furter causing him to lock Eddie in a freezer. Columbia’s costume is elaborately decorated sequin covered hot pants waistcoat and tails with a full sequin top hat to match. Her flame red slicked back hair and winged eye make up complete the look. The creation of Frank-N-Furter, Rocky is to be considered the perfect man, made from half of the pizza boy Eddies Brain and the “genius” of Frank-N-Furter. Rocky was purely created for Frank-N-Furters amusement and things go bad when Rocky is seduced by Janet. To dress as Rocky for Halloweeen is not for the fainthearted and is basically gold hotpants, boots . . . and not much else but a shock of white-blond hair. A bit chilly for October perhaps but a fabulous fancy-dress idea for Halloween. The frozen and forgotten lover of Frank-N-Furter and Columbia Eddie, a pizza delivery boy, was seduced to stay in the mansion and ended up falling for Columbia. The relationship cost him his life as Frank-N-Furter became extremely jealous and locked him in a freezer. 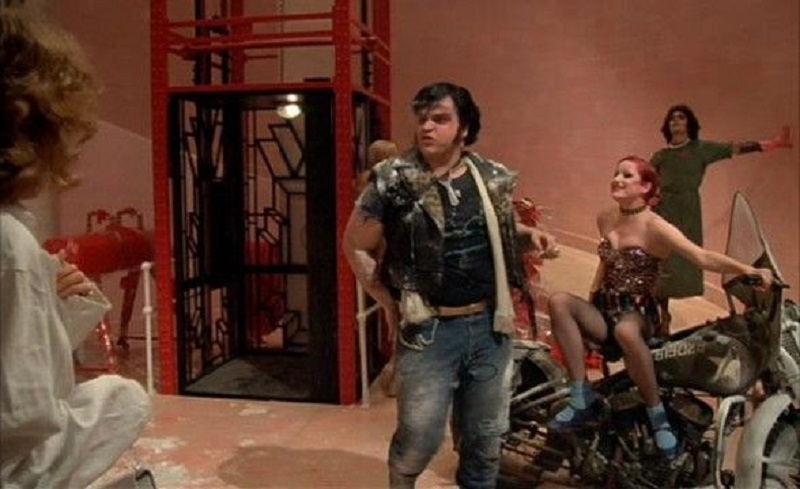 During Rocky’s unveiling, Eddie breaks free of the freezer and causes chaos in the lab, scooping up Columbia and riding around on his motorcycle. Eddie’s outfit is almost like a dead Elvis clad in denim and carrying a saxophone, the all-important scar across the forehead is where Frank-N-Furter removed half his brain. 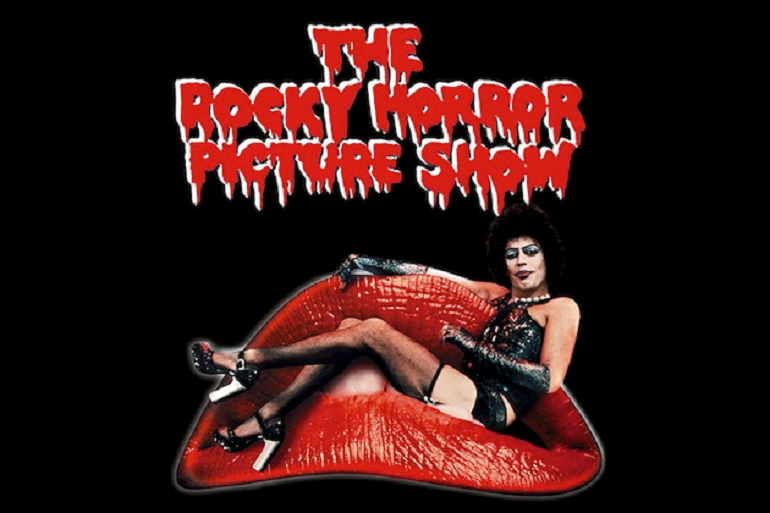 In other movie screenings all over the world, people have come to the movie dressed as the guests of the mansion, gathered to see the unveiling of Frank-N-Furter’s creation. Their outfits are mainly tuxes with whacky wigs, big sunglasses, gloves, top hats and pops of colour. After watching the movie screening at FACT cinema this Halloween in Liverpool enjoy a night out in the nearby bars and clubs of Seel Street. There’s plenty of places that welcome fancy dress in Liverpool and all are within a short walking distance of Arthouse Hotel. 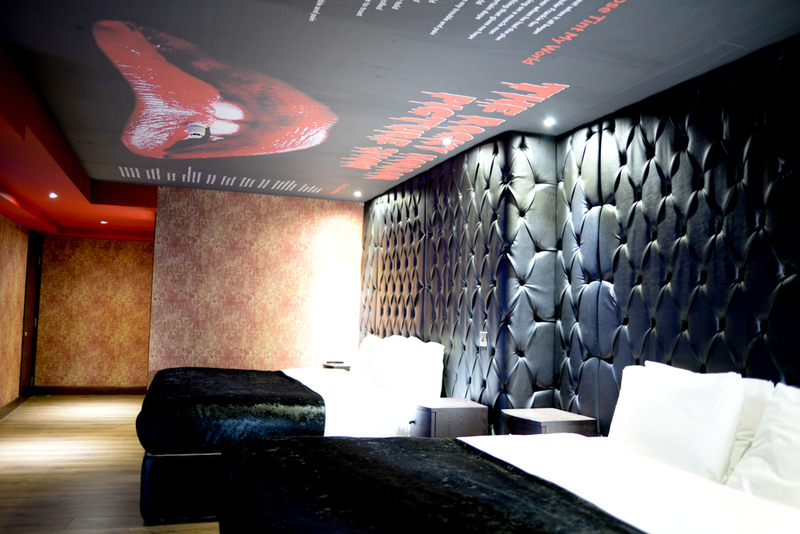 The Rocky Horror room can sleep up to six guests in comfy double beds and has an opulent ensuite bathroom complete with rouge red tiling and walk-in shower. The ceiling is adorned with the ruby red lips from the credits of the movie, which just so happen to be the lips of Magenta (a little known Rocky Horror fact) alongside the lyrics to the opening song “Science Fiction Double Feature”. Between the fancy dress ideas for Halloween in Liverpool, the Rocky Horror movie at FACT and a night out on the town in the city’s most popular bars and clubs you’ll be sure to have an unforgettable Rocky Horror themed Halloween night ou this year. Book your stay for an amazing Halloween in Liverpool on 0151 601 8801 or email info@signatureliving.co.uk along with tickets to see Rocky Horror Picture Show at FACT cinema here. This entry was tagged Arthouse Hotel, Fancy Dress, Halloween, Movie themed hotel, Nights out in Liverpool, Rooms. Bookmark the permalink.